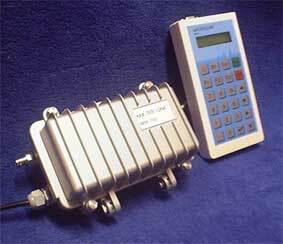 Our Wideband MMM (Multimode, Modulated, Multi-Frequency) Generator employs a completely new approach to frequency generation, frequency sweeping, frequency tracking, applied power, and most importantly a new way of adapting to large or varying loads. It’s unique feature set makes it well suited for unusual application where ultrasonics must be applied to a large mass, a thick walled chamber, or dynamic loads that present an un-tuned mechanical system that normal generators cannot drive efficiently. Adaptive and rapidly shifting frequency and phase modulation creates a highly efficient power shifting distribution across a broadband of harmonic and sub-harmonic frequencies. The Problem: Other conventional ultrasonic systems must work in a tuned mechanical environment. Careful selection of sonotrodes and reaction chamber designs are critical. Changes to the load or large loads create conditions that are destructive to the transducers and generators of other traditional systems. The Solution: Our new technology eliminates these problems by monitoring and adapting to the natural harmonics of the mechanical system. The adaptive modulation techniques mimic feedback of harmonic signals from the mechanical systems and use these signal to drive the system in a highly efficient and synergistic manner. More about the MMM technology…. The Result: We can apply effective ultrasonic power to un-tuned mechanical systems such as large heavy industrial tanks, thick walled chambers, complex forms, and large metal masses like extruders and injection mold tools. 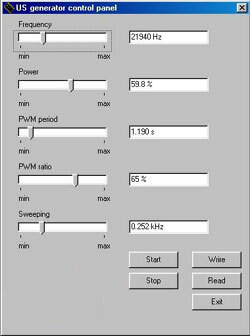 Advanced option programming via handheld control panel or PC Windows software. 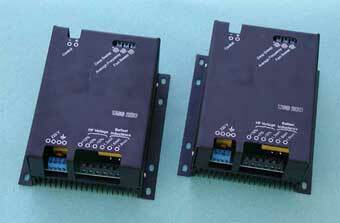 Complete System Protection Circuits for Over Voltage, Over Current, and Driver fault. Modular options for industrial applications. 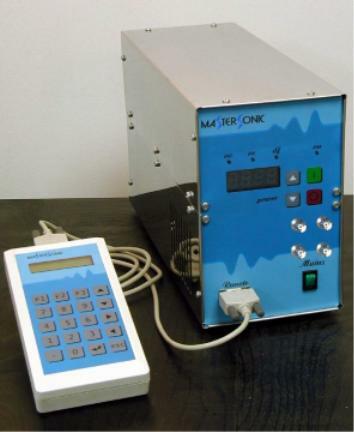 This Multi-Frequency Generator greatly increases our options for reaction chamber design. Now we can make most any size or shape and provide the necessary power to meet your complex needs.